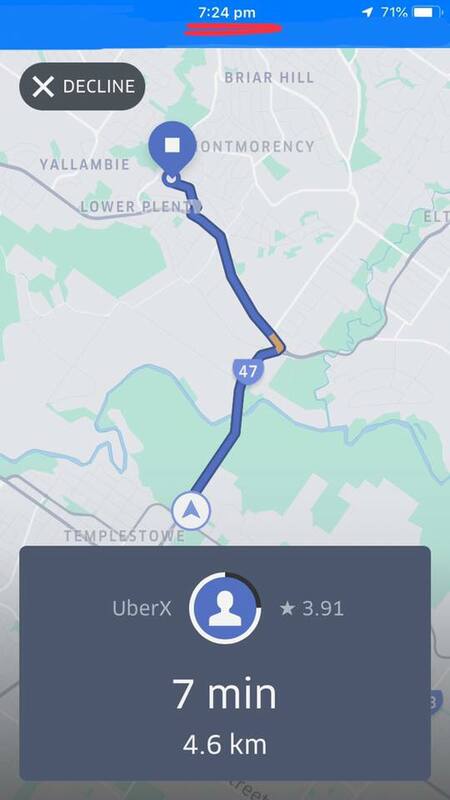 Uber is feeling the competition pinch, enticing drivers with fake surge! Drivers in Melbourne have been reporting an increase in the appearance of “fake” surges. The entry of heavy weight ride share operators into the market has definitely increased the demand for drivers’ time and attention. 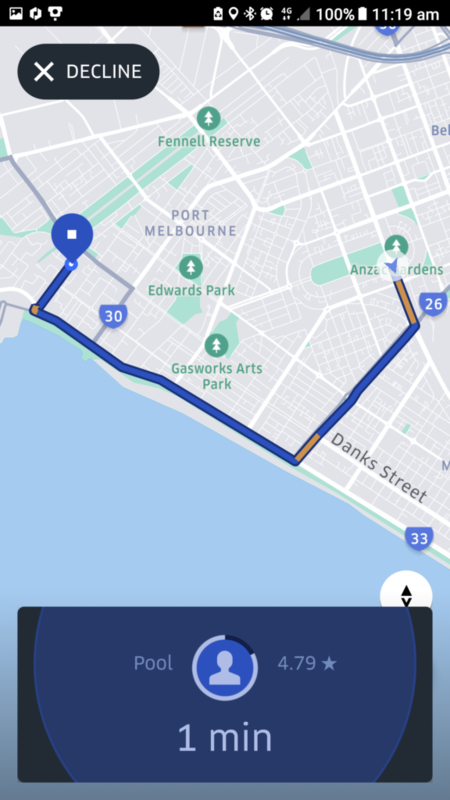 While new ride share operators motivate drivers by special ‘no commission’ hours or daily ride completion bonuses, Uber seems to have chosen more misleading tactics, pushing their drivers into taking Uber jobs, enticing them with ‘fake surges’. The idea behind Uber’s surge pricing is to adjust prices of rides to match driver supply to rider demand at any given time. 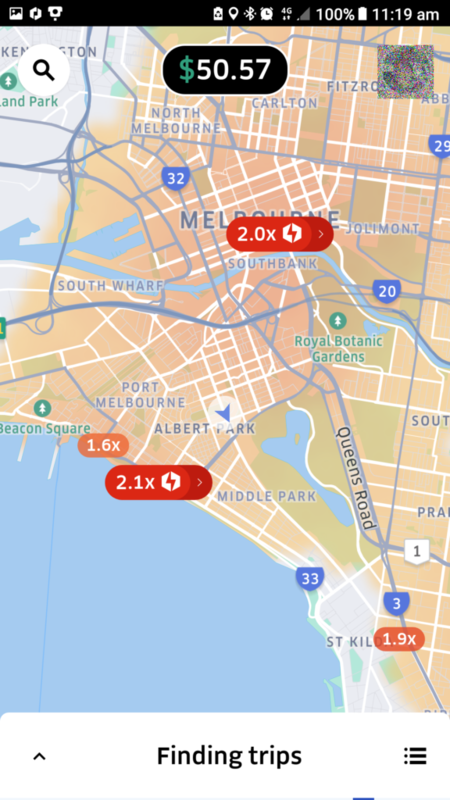 During periods of excessive demand when there are many more riders than drivers, or when there aren’t enough drivers on the road and passenger waiting times are long, Uber increases its normal fares by a surge multiplier. Uber drivers are being visually notified via the app of surging areas, being enticed to drive to these areas with the premise of higher rates. 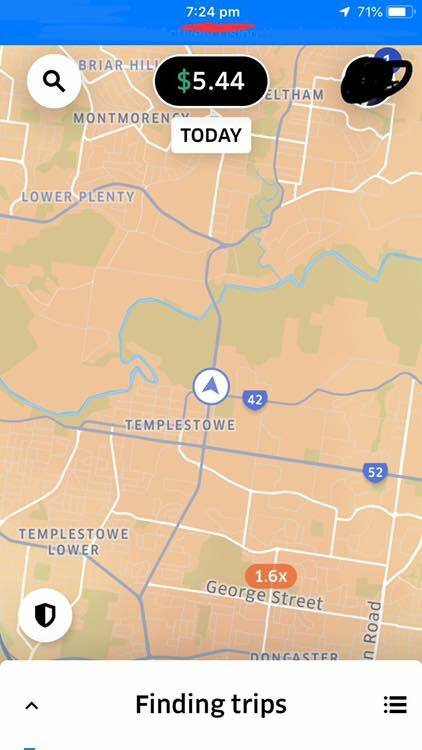 Lately however drivers have been reporting being presented with normal base rate jobs in areas clearly marked as surging on the Uber app map. 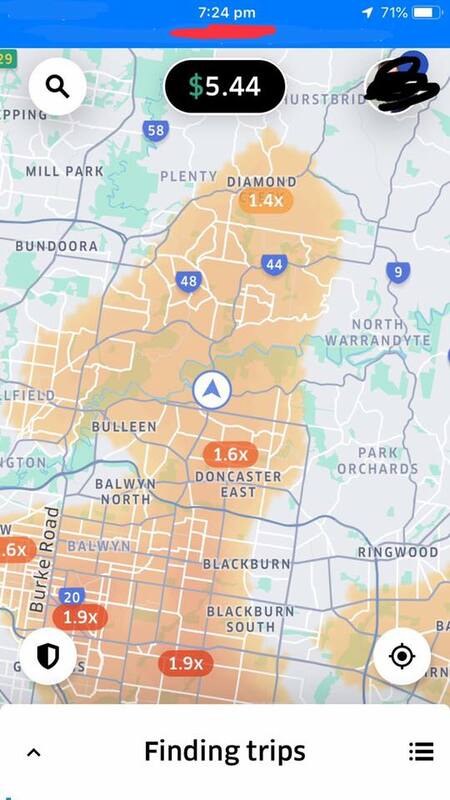 We have been receiving reports from affected drivers (see below images taken on Melbourne cup day), where rides clearly appear to be originating from a surging area, when the actual job is nothing but a normal base rate work. 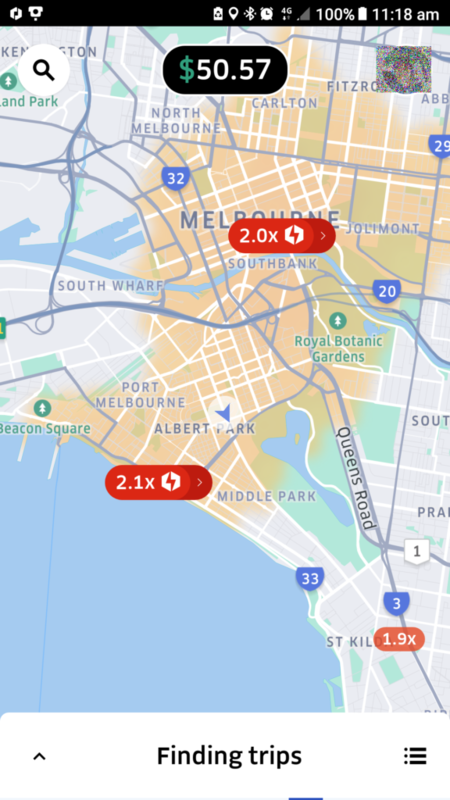 No doubt, Uber is feeling the pinch of increased competition, choosing to introduce questionable features like ‘upfront pricing’, UberPool and now, more fake surges to be able to offer shorter pick up time and rock bottom prices for passengers. Uber continue to cynically shortchange and mislead their drivers to achieve that. Passengers! 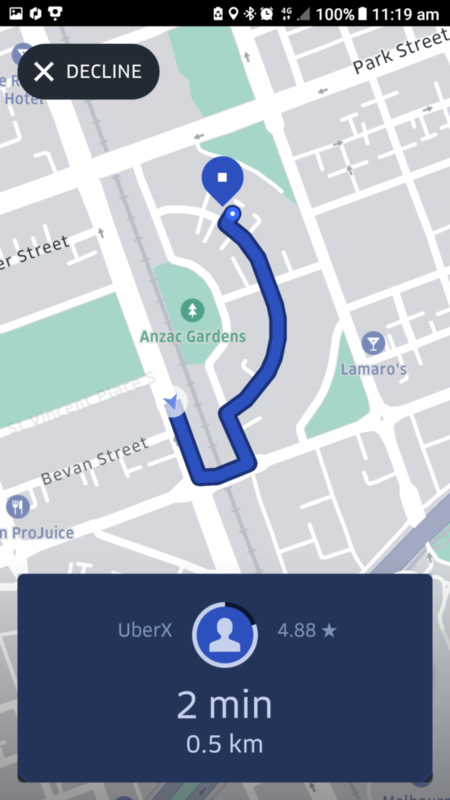 Next time you see Uber ads bragging about short pick up times and rock bottom low prices, you will have a better idea of how exactly they are achieving them, by often cheating and shortchanging your driver. Baiting them using ‘surge’ to drive to certain areas and than switch. 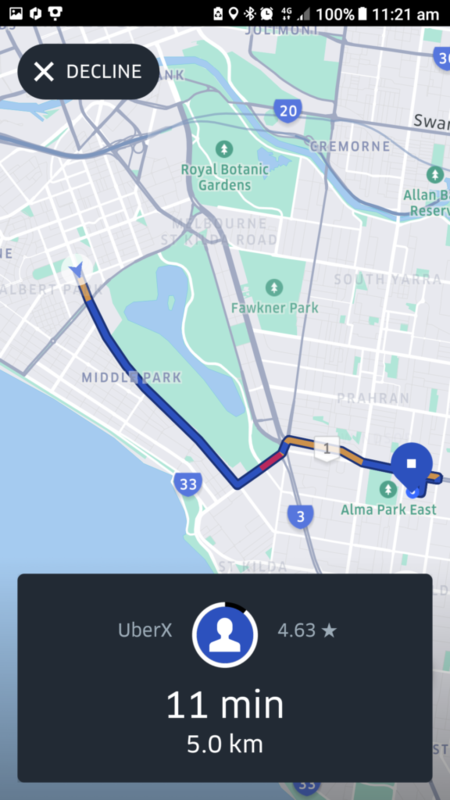 Conclusion: Considering Uber’s bad working terms, drivers in general are much better off tapping “No Thanks!” to all base price Uber jobs unless they’ve been sitting idle for more than 15 minutes and no Ola/Didi/Taxify jobs have came through within that time frame. 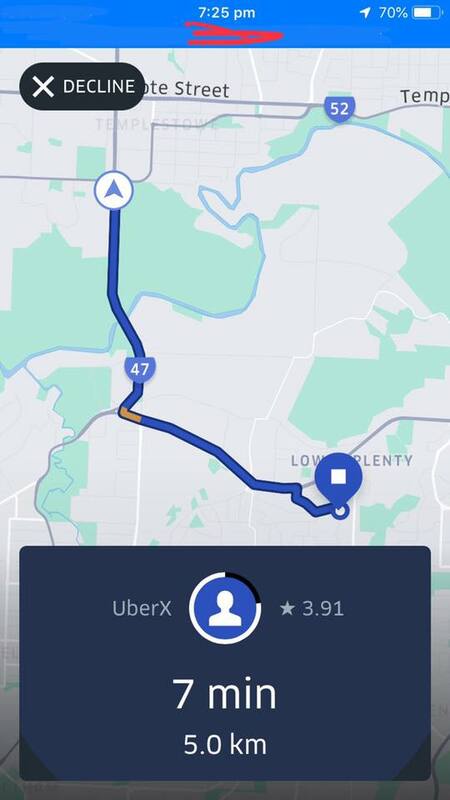 Important to note that not all Uber surges are fake, however lately they do appear to be happening too often to too many drivers from all around the country. This issue seems to have intensified since the beginning of November 2018. Drivers beware! 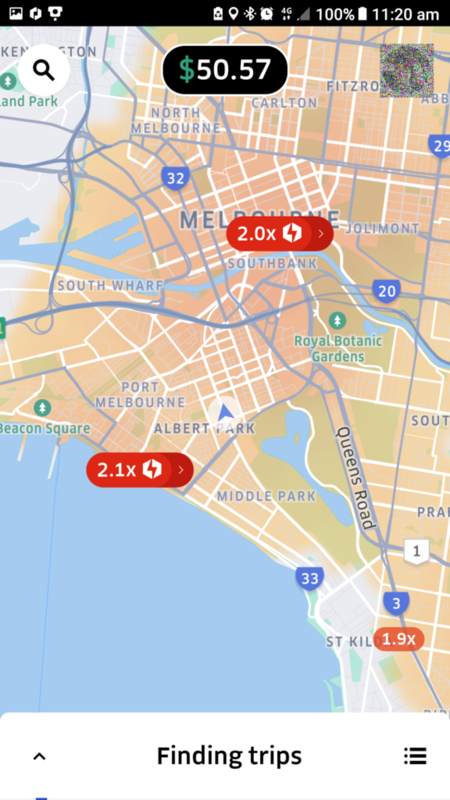 Images of “fake” surge taken 6 November, 2018 in Melbourne Australia. Since originally publishing this article we’ve been receiving a considerable amount of complaints from drivers in other states. 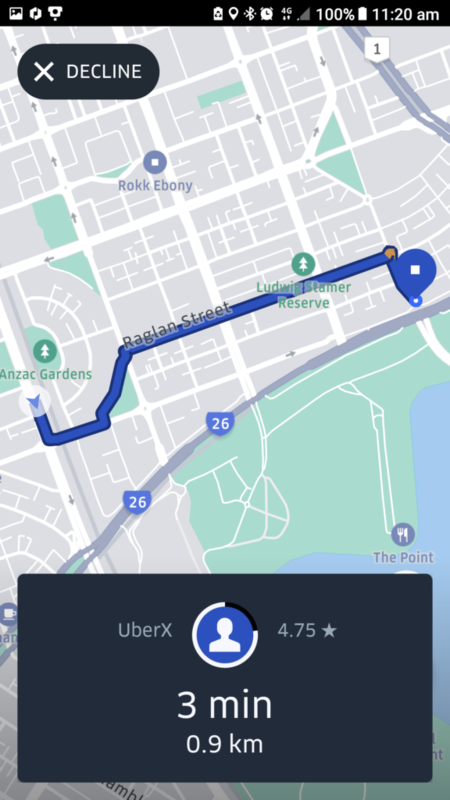 Drivers in QLD, WA and NSW have been reporting similar issue. Business owners, would you like to make our 3000+ registered members an offer they can not refuse? Accounting, insurance, car services, parts and/or special rideshare related products. Please contact us, we would love to hear from you. Note: To be considered, your offer must be of substantial value to our members. Click here to contact us now.